Grave : Plot II. Row C. Grave 46. 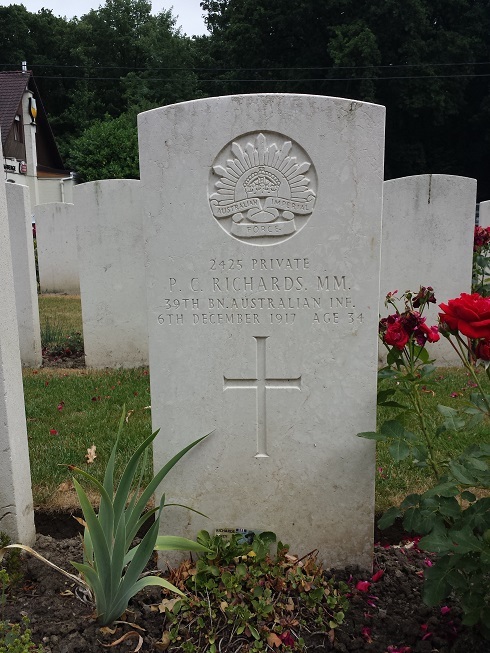 Percy Charles Richards was a son of Louisa Richards, of Rokewood Junction, Victoria, Australia, and the late William Richards.